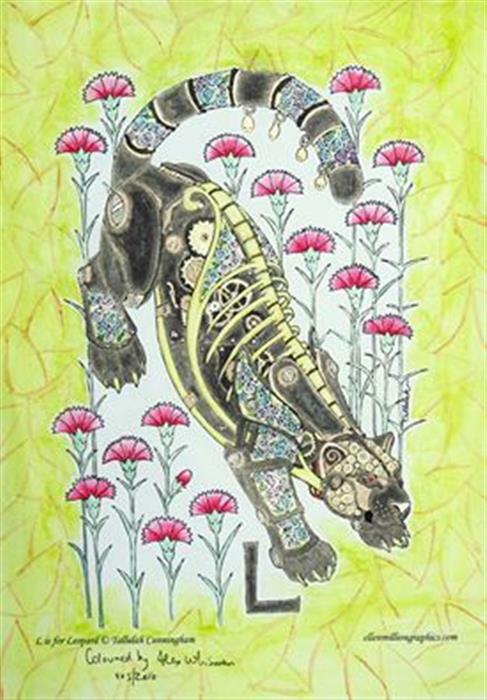 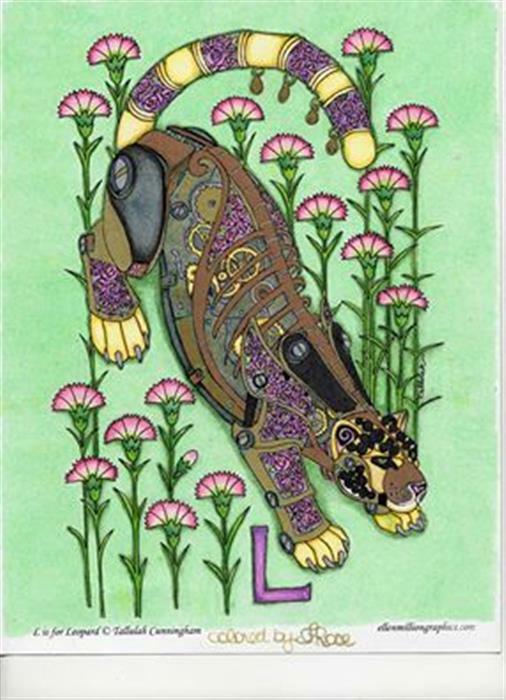 An Animal Alphabet Steampunk Coloring Book by Tallulah Cunningham. 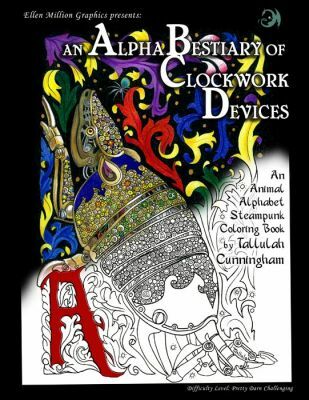 Clever clockwork animals and lots of extra hidden alphabetical easter eggs to color and discover. 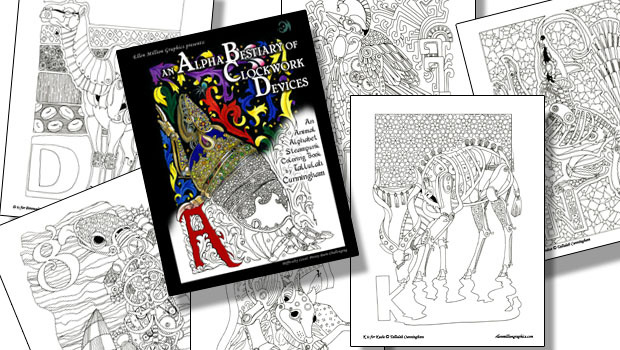 20 pages of highly-detailed artwork. 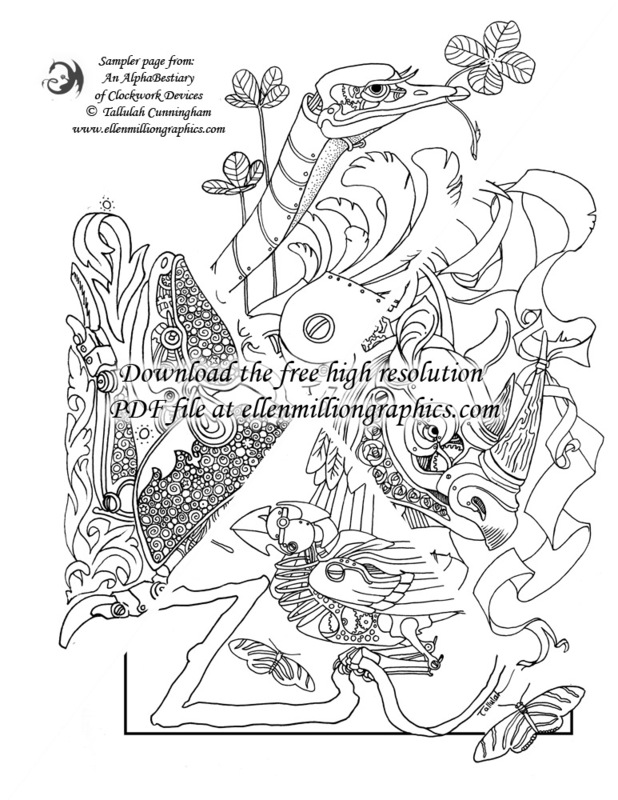 Download a high-resolution coloring page sampler!